Last month, the Council of Ministers of the Mesoamerican Public Health System (SMSP) pronounced their political commitment to the Salud Mesoamérica 2015 Initiative (SM2015), an innovative public/private partnership which seeks to reduce health equity gaps in Mesoamerica faced by those living in extreme poverty. 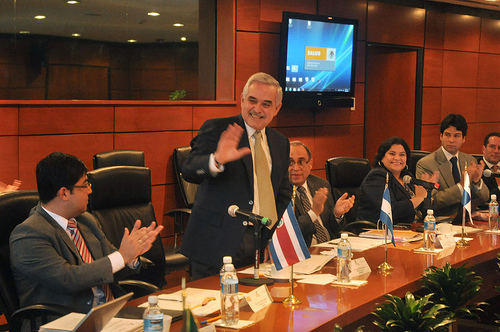 Salomón Chertorivski Woldenberg, Health Secretary of Mexico, headed the first meeting of the Council. Learn more.